In one of my last year articles, Tread Carefully on Peter [which appeared in The Nation newspaper of August 9 2010], I bemoaned the tendency by some DPP faithfuls of “prematurely” embarking on a campaign trail bent at selling by-then Minister of Justice and Constitutional affairs Professor Peter Mutharika’s 2014 presidential candidature. During this period it was reported that the DPP’s meeting of governors and MPs in the Southern Region had endorsed Peter Mutharika as the party’s torchbearer come 2014. In my view, such a move was not only ill-timed but also had ‘what it takes to shake the foundations of the party’ and the result of the move would be ‘a division in terms of allegiance among top officials and ordinary members of the party with some registering their support to the President’s brother while others to the Veep’. I then maintained that such a division in the party could not be apparent then ‘but rather as we approach the next Presidential elections’. It was clear from such responses that Peter’s justification for the office of the President was not necessarily based on a critical analysis of his political strengths or prowess but rather on the great achievements his brother had registered in different sectors of our country including economy and agriculture. This to me appeared as a miscalculated tactic since it deprived the very ‘candidate’ of a deserved opportunity of proving to Malawians that he was the right person for the job. The status quo therefore insinuated that the achievements and shortfalls registered by President Bingu Wa Mutharika during his tenure would automatically act as a sole yardstick of determining the capabilities of Peter Mutharika. MBC was, unfortunately, mistaken. It failed to grasp fact that time is not static. In other words, MBC was ignorant of the times. Only if they understood the times, they would realize that adopting this as a sole tactic would at some point prove suicidal to the prospects of the candidate, particularly in the event that the remaining years of the incumbent were to be marred with popular discontent against the regime. If this would not be enough, at least they would have borrowed a leaf from our political history. History has it that both late Dr Hastings Kamuzu Banda and Dr Bakili Muluzi registered enormous progress in the early years of their respective terms. However, the writing was on the wall for both of them [in their respective terms] when they began to pursue interests which were deemed to be unpopular to many Malawians. No wonder such great achievements were gradually overshadowed by the evils of their respective regimes. Today, it is clear that the political climate remains unkind to Bingu. The times [just as it was the case with Banda and Muluzi] have dramatically changed. The President’s 2009 Presidential general elections’ glory is gradually being ‘swallowed’ by the evils that have recently been associated with his regime. 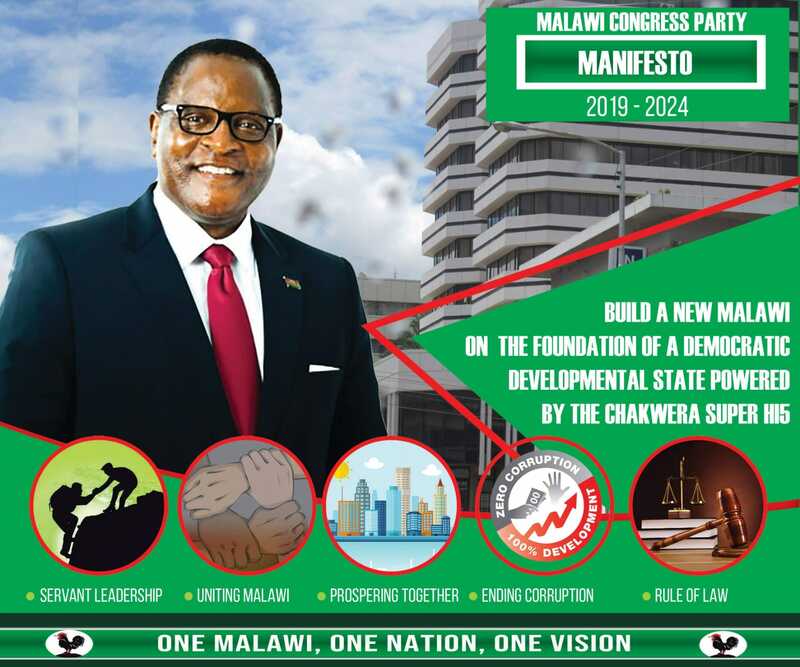 It appears as if Malawians ‘have already forgotten,’ paja a Malawi amayiwala [‘Malawians easily forget,’ as recently insinuated by a certain ‘kahuna’], all the merits brought by the DPP-led government in its first five years. It is, however, an open secret, as I earlier maintained in one of my previous articles On DPP’S survival [which appeared in The Nation of May 19 2010], that the DPP’s landslide victory was partly ‘a clear manifestation of how the electorate view the party’s leadership. It was therefore ‘evident that the successes registered in our economy, agriculture and security convinced many to rally behind the party’s presidential candidate and parliamentarians. In stead of reflecting on the positives brought by this ‘golden era’ which saw remarkable strides in development, it is apparent that people are now engrossed in issues that have merely marred the President’s “wise and dynamic leadership.” It doesn’t require one to be a genius to gauge the general feeling of discontent and dissatisfaction with the regime on the ground. With the fuel crisis; the continued Academic freedom saga, which has almost reduced Chancellor College campus to a mere ‘holiday resort’ where students have come to just eat, stay idle and spend in the face of the prevailing economic hardships; shortage of forex; poor governance and several other issues, Malawians are slowly coming to terms with the fact that the current regime has lost direction, ‘legitimacy to govern’ and hence no longer commands the respect and trust of many. In reference to all this, Peter Mutharika, given a chance to express himself, would not be comfortable to be associated with all these evils. However, as a result of the above mentioned tactic already being advanced by MBC [which associates all the achievements and challenges registered by the current regime to him], my good innocent professor has no choice but to embrace them [both achievements and shortfalls] all in their totality. Imagine, with such ’ ignorance’ MBC was not even ashamed to associate itself with attempts at frustrating the Chancellor’s plea to the parties involved in the academic freedom saga that they work towards a ‘win-win’ situation and the opening of Chancellor College and Polytechnic on the 4th July 2011. The Chancellor made such a determination after meeting our esteemed students’ union representatives [SUCC] at the State House in a bid to resolve the stand-off. His position was a welcome development and was viewed by different stakeholders, including students from the two constituent colleges of UNIMA, as a sigh of relief and also a genesis of a new chapter in as far as relations between both parties involved are concerned. Contrary to this general expectation, MBC embarked on a divide and rule philosophy in order to divide the bond of unity that had all along existed amongst lecturers, and even amongst students. Instead of embarking on ‘positive reporting’ which would be tailored at ensuring that both parties work towards ‘a win-win’ situation and the opening of both colleges at the suggested date, MBC through its analysts [with the one who has recently been in the limelight over his reckless statements in the fore front] were busy knocking at our esteemed lecturers doors seeking for contrary views to the common cause. In its ‘ignorance’ of the times, MBC went flat out in this ‘evil’ campaign, portraying CCASU leadership as “devil incarnates” who do not care a hoot about the general interests of innocent students. More painful to all this was the lie it propagated to the nation that quite a number of lecturers were teaching, and more were expected to follow suit in the following weeks when the reality on the ground was different with only 20% of lecturers teaching. Such lies were merely an insult to our intellect, as students, and also to parents out there who spend a lot on their children while on campus, especially parents to non-residential students. As am writing this piece there is almost no learning [with only few classes on] on campus a situation that poses a threat to our right to education. Many final year students’ ‘dissertation or projects’ are currently on hold due to the fact that their respective supervisors [who are lecturers] are either not teaching or “fired”[as is the case with those whose supervisors are the four “fired” lecturers]. But the question of relevance here is: what has MBC achieved with this tactic? It is clear that MBC’s goal of dividing CCASU members and also arousing the anger of students against the lecturers [especially the non-teaching ones] in order to force them to teach has failed to achieve its desired goal[which contradicts that of a ‘win-win’ as held by our good Chancellor]. Students have objectively realized, as observed in the previous General Assembly, that the key to the resumption of classes does not lie in their efforts of forcing lecturers to teach or stopping those who are doing the job. These are issues strictly to do with the employer and his employees. It is therefore against such a background that this tactic [‘divide and rule] has been a flop on the intellectual minds of Chirunga. Its high time MBC realized this fact before its too late. Instead of continuing with such lies, MBC must go back to Malawians and inform them that students at Chancellor College remain idle, merely eating, spending and loitering around as if they are at a holiday resort. In addition, MBC must inform the nation that there is only one “sticky” issue, which is the “firing” of the four, remaining that is inhibiting the UNIMA Council from completely effecting its decision on the resumption of school. It must also ‘inform’ and ‘educate’ Malawians that the “firing” of a union’s leadership poses a serious threat to the operations of union at Chancellor College and also of all unions in the country [at whatever level]. In few words, MBC should educate the nation that such a decision has the potential to kill the spirit of unionism in the country. This may hence give impetus to undesirable dictatorial tendencies by an employer, who may suppress and persecute his or her employees. MBC should further inform the nation that implementing of such a decision by the UNIMA Council automatically means that the future leadership of the union will exercise their duties in fear. With the status quo who would want to be union’s leadership anyway. In brief, this is the message that MBC ought to preach to the nation rather than feeding Malawians with lies. If this is not enough sign of their ‘ignorance’ of the times, some of its analysts [as recently observed in the media] have guts to play around with such sensitive issues like tribalism, and are categorically not even ashamed to associate themselves with tribalism [or prejudice] sentiments. To them, as long as they succeed in their goal of diverting Malawians from objectively looking at the real issues on the ground [which needs the attention of the authorities] through dividing them along ‘tribalistic’ lines. Such baseless tactics are sensitive and must at all cost be avoided and condemned for they have the potential of breeding unrest amongst peace-loving Malawians. In addition, through mobilizing chiefs and other people who happen to share the views or agenda of the government or ruling party, MBC is merely showing us that it is does not keep abreast with the times. “The mobilisation of chiefs” strategy is irrelevant in the current political and socio-economical context. Such a tactic was rather effective during the first term of President Bingu Wa Mutharika due to the prevailing conditions of that time. Unlike today, the common view amongst Malawians at that time was that of dissatisfaction against the conduct of the Opposition who were hell-bent at thwarting Mutharika’s development agenda. For instance, when the general public was against the impeachment of the President, the opposition-dominated parliament was keen to push through this agenda. Similarly, when the general public was for the implementation of the budget the opposition neglected the public will by proceeding to use budget as a ransom for quick implementation of section 65. Acting against the will of the people is a trait of dictatorship. Mitchell in 1967 observed that a legislature that uses its majority numbers to stamp authority against the wishes of the people they represent can be deemed as dictatorial. The French Aristocrat and political theorist Alexis de Tocqueville argued in mid-19th century that “a majority of many may be just as tyrannical as an oligarchy of the few.” In reference to the above ‘dictatorial’ conduct of the opposition in parliament, there was a dire need of finding an effective avenue in order express the people grievances against the opposition’s conduct. This role was to be eventually ably handled by the civil society, clergy, academicians, students [from the University of Malawi, Chancellor College included] chiefs and many others. The civil society, in particular, through its collaborate efforts of its organizations like Catholic Commission for Justice and Peace, Malawi Watch, Civil Liberties Committee, Centre for Human Rights and Rehabilitation, Public Affairs Committee and many others, successfully coordinated different activities like peaceful protests, press conferences, vigils at Parliament and many others which were solely bent at expressing the grievances of the people. Throughout this process, the civil society kept the opposition on its toes and in the process championing the public interest at the expense of tyranny. With such a historical background it is clear the DPP’s survival in the first term was a combination of a series of factors amongst which one of them was the role of the chiefs. Unlike in the current political context, the chiefs voice, as aired on both TVM and MBC, carried more weight due to the prevailing backing of the general public, civil society, the clergy, academicians, and students. Without this strong backing, such a tactic would have been rendered ineffective. In a few words, the public discontent against the opposition and public sympathy for the President necessitated the effectiveness of this tactic at that time. On the contrary, the political climate today is no longer the same as that of the first term of the President. Due to the above mentioned challenges facing the country today, it is clear that President Bingu Wa Mutharika is no longer the same darling of the people as he was three years ago. It is therefore goes beyond reasonable doubt that any sentiment or tactic, let alone that of “mobilization of chiefs” by MBC, which is bent at portraying the current regime as the ‘best thing to have emerged’ in our country’s political history will be out rightly rejected and rendered meaningless to say the least. Lastly, its high time MBC understood the times if they are to truly create a world of possibilities. It is impossible to create a world of possibilities when you don’t understand the times you are living in and its expected needs. Creating a world of possibilities involves moving with the times. With ‘ignorance’ of the times, creating a world of possibilities remains more of a dream than a reality. Makhumbo R. Munthali is a final year education student, but writing in his personal capacity.